WELLCRAFT 260 AFT CABIN Completely Rebuilt !!! New Upholstery In Cabin & Outside Seating !!! We Just Replaced The Entire Engine, Outdrive, & Helm Within The Past 2 Years In A Complete Overhaul With Receipts Totalling Over $10k Plus !!! This boat is available for immediate sale due to a divorce. 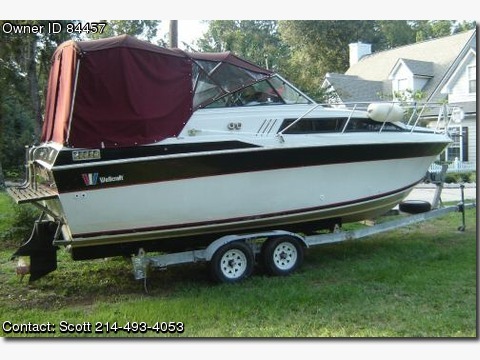 This website estimated the value of the boat at a price of $18k after upgrades and the insurance company used $12k wihout upgrade verifications for the liabily insurance required by the Lake Grapevine, TX marina. However, I want o drop the boat quickly t close out the divorce. You can e-mail questions to gsallen3@yahoo.com for additional information.